We improved or maintained our environmental performance across many business areas during 2018. This was due to operational improvements as well as reduced activities at some of our facilities and divestments. 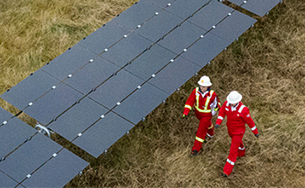 Details about our environmental performance are provided below and in the Greenhouse gas emissions, Managing methane emissions and Flaring sections. Shell has requirements and procedures in place to prevent operational spills. Shell companies have routine programmes to maintain facilities and pipelines, and improve their reliability, to reduce spills. However, spills still occur for reasons such as operational failure, accidents or unusual corrosion. The volume of operational spills of oil and oil products in 2018 was 0.8 thousand tonnes, an increase from 0.4 thousand tonnes in 2017, in part due to operational spills on the Trans Ramos pipeline in Nigeria and an underground leak in Majnoon in Iraq. The number of operational spills decreased to 92 in 2018 from 104 in 2017. We have programmes in place to reduce the number of operational spills over the long term (see 10-year data table). [A] Sabotage and theft-related spills of more than 100 kilograms. All sabotage- and theft-related spills have occurred in Nigeria, except in 2016 (0.001 thousand tonnes) and 2015 (0.005 thousand tonnes). The number of spills caused by sabotage and theft rose to 111 from 62 in 2017. The volume of these spills increased to 1.6 thousand tonnes in 2018 from 1.4 thousand tonnes in 2017. Sabotage and oil theft remained a significant cause of spills in the Niger Delta, Nigeria. The increase can be partly explained by increased availability of our production facilities following the repair of a major export line in 2017 and the price of crude oil and refined products, which is seen as an opportunity for more illegal refining. 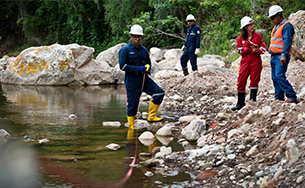 We investigate and learn from all spills to improve our performance and Shell companies aim to clean up the areas around operations that are affected by spills, irrespective of the cause. Improving the energy efficiency of Shell-operated facilities is one of the ways we manage greenhouse gas emissions. The main metric is energy intensity, the amount of energy consumed for every unit of output. Shell-operated facilities and proposed projects that generate more than 50,000 tonnes of greenhouse gas emissions a year are required to produce a greenhouse gas and energy management plan with annual updates. These plans must include the sources of greenhouse gas emissions, as well as a forecast of expected emissions at the site for at least 10 years, and must identify options for improving energy efficiency or reducing emissions. Some of the ways Shell improved energy efficiency in 2018 include making our equipment more reliable through regular maintenance, by smart scheduling of maintenance activities and by installing more energy efficient equipment. We aim for the Shell-operated refineries and chemical plants to be leaders in energy efficiency. We invest in combined heat and power units and implement heat integration and waste gas recovery systems. We replace steam turbine drives with electrical motors and end-of-life equipment with higher efficiency types. The overall energy intensity index of the 17 Shell-operated refineries and chemical plants in 2018 was similar to the year before: refineries improved slightly to 94.3 in 2018, from 94.8 in 2017 and chemical plants declined slightly to 88.5 2018 from 88.2 in 2017. [A] Indexed to 2002; based on 2006 Solomon EIITM methodology. 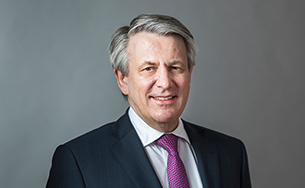 In 2018, the overall energy intensity for the production of oil and gas in our Upstream and Integrated Gas businesses (excluding liquefied natural gas and gas-to-liquids) increased slightly compared with 2017, partly due to lower production from the NAM joint venture (Shell interest 50%) in the Netherlands. We expect it will be difficult to maintain the energy intensity levels of recent years, as existing fields age and new production comes from more energy-intensive sources. This may increase our upstream energy intensity over time. We track emissions released into the atmosphere from our upstream and downstream facilities and work to reduce air pollution from our operations. This includes making investments to lower our emissions of nitrogen oxides, sulphur oxides and volatile organic compounds that are released during oil and gas production and processing. These pollutants can affect air quality in the areas where we operate. We evaluate and take action to mitigate potential adverse impacts of our emissions. Our sulphur oxide emissions in 2018 decreased to 69 thousand tonnes compared with 81 thousand tonnes in 2017, primarily due to higher sulphur recovery at the Pulau Bukom refinery in Singapore in 2018 (the sulphur recovery unit was offline for part of 2017 due to planned maintenance). Our nitrogen oxide emissions increased from 107 thousand tonnes in 2017 to 111 thousand tonnes in 2018, primarily the result of additional vessels joining our shipping fleet. Our emissions of volatile organic compounds (VOCs) decreased to 59 thousand tonnes in 2018 from 95 thousand tonnes in 2017, mainly due to the divestment of our interest in the Majnoon project in Iraq. We expect our VOC emissions to further decrease in the coming years as a result of our efforts to reduce flaring and venting. Read about Shell's Greenhouse gas emissions.